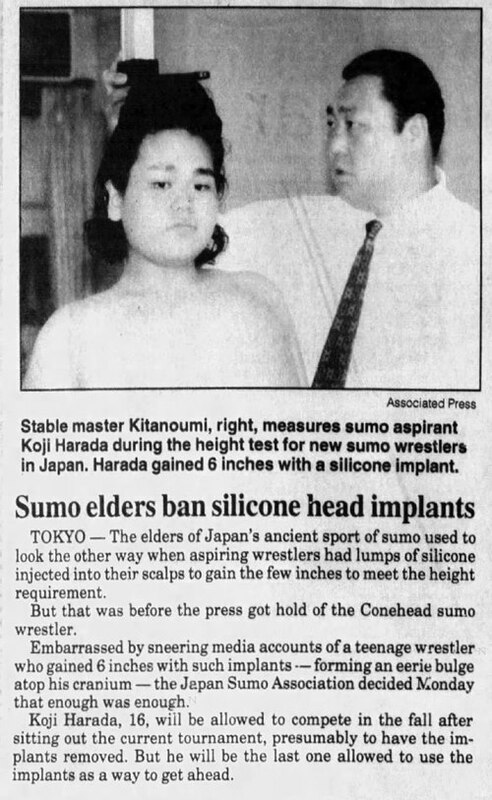 We do know why a sumo wrestler is so large - Consume Mass Quantities!! 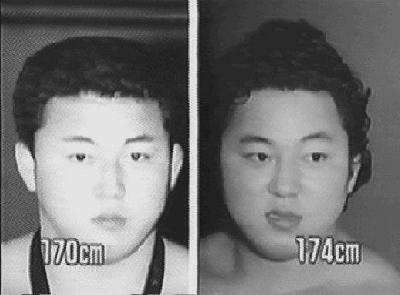 Unfortunately, this means that innocent height-disadvantaged Sumo wrestlers will have to go back to back-alley noggin thumping to increase their height. Keep safe silicone injections legal! And all this time, I thought coneheads were from France.